Welcome to TAB Guitar School Web Site! TAB Guitar School is "Video/CD Label" & "Guitar School" & "Mail-Order Company"
specializing in acoustic guitar, produced by Guitarist, Tokio Uchida. Download A Guitar Lesson And Be Learning In Minutes! Tokio's new solo CD has just been released in May 2016. This is Tokio Uchida's new album dealing with Japanese songs which are rootsy well-known and familiar to every Japanese. He has played acoustic fingerstyle guitar music with the taste of country blues and ragtime many years. 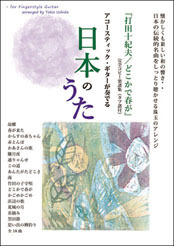 For this album he adapted his techniques and styles for arrangements of Japanese nursery rhyme, ministry of education songs and traditional folk songs. Some tunes are featuring delicate and beautiful harmonys and some are arranged with counterpoint lines. and some are played with galloping style or monotonic blues approach, and others feature bottleneck slide. 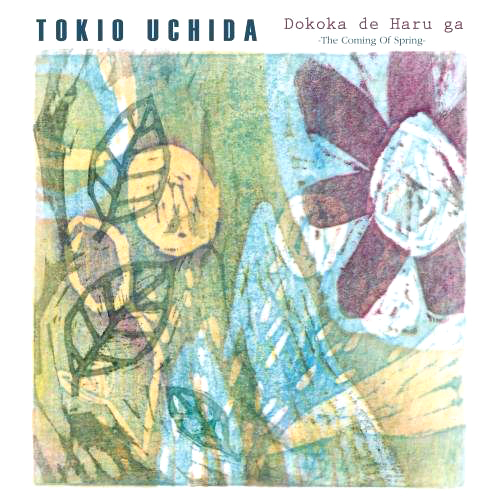 As a result, this CD became a unique and individual album with Tokio's identity. You can recognize Japanese emotions and enjoy the sounds with new feelings crossing western and eastern music. *The complete tab/music book (TABBK-2002) for this album is also available, now.